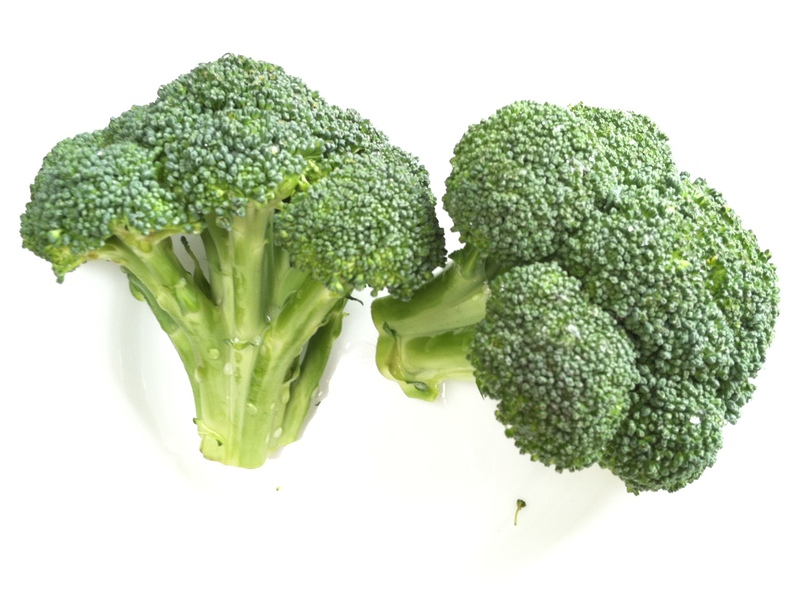 History: Broccoli is from the cabbage family, evolving from a wild cabbage in Europe over 2,000 years ago. The word is actually derived from Italian, broccolo which refers to the flowering top of a cabbage. Typically when you buy broccoli, they come with a long stalk. The more favorite part of the broccoli is the edible flower head that sprouts from the stalk. As a cook, if you don’t like dealing with stalks, then I recommend buying broccoli crowns. They come at a premium in price, but saves you the time. I was fortunate to catch a good deal here. When choosing broccoli, one wants to make sure to pick up the crown and squeeze the stalk lightly. Do not purchase the ones that are soft and tender; imagine if it was soft like a rubber eraser from grade school. Instead, make sure that the stalk is firm, which indicates that it is still fresh and has not been sitting on the store shelves for too long. 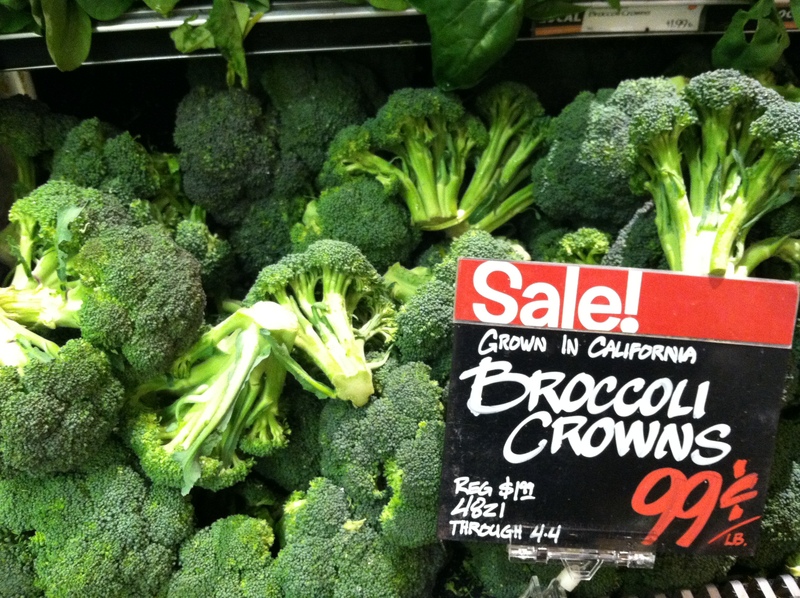 As for washing broccoli crowns, I would simply soak them in a bowl of water, making sure they’re fully submersed. Some like to cut before washing. However, I recommend cutting after washing since you don’t lose bits and pieces of the flower head when draining. Evident in the pictures above and below, a broccoli crown still has some stalk left. Many people have eaten broccoli, in various forms, raw with ranch, raw/cooked in salads, broccoli with cheese, broccoli soup, broccoli in pasta, etc. The miniature bulbs that makes up the flower are soft, yet the sheer amount of it also creates natural air. When one chews, this space in between each bulb and the soft texture creates a quite subtle yet interesting personality. Mix that along with the crunchiness of the stalks and you’ve got yourself the whole spectrum of plant firmness variation. 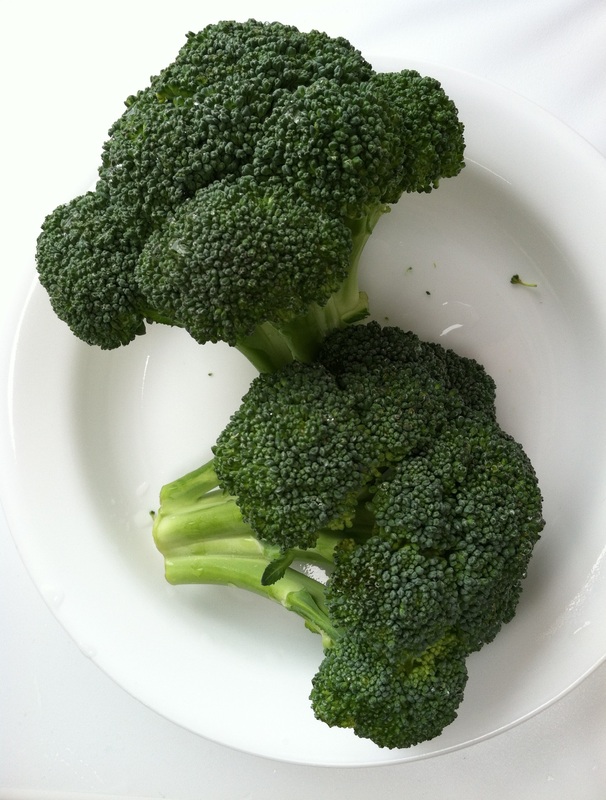 What is your favorite broccoli dish? Tweet http://www.twitter.com/homeyeats or leave your comment below! I love the broccoli salad from Sweet Tomatoes!! I like it simply: Fish sticks, mashed potatoes, and Broccoli. Nice! Haven’t heard of that combination before! Can’t forget the gravy as well.